David is a Canadian-born dinosaur researcher who grew up in British Columbia. As an undergrad, he worked at the Royal Tyrrell Museum and has been active in the field ever since. He completed his Ph.D. on duck-billed dinosaurs at the University of Toronto in 2007, when he was hired by the Royal Ontario Museum. 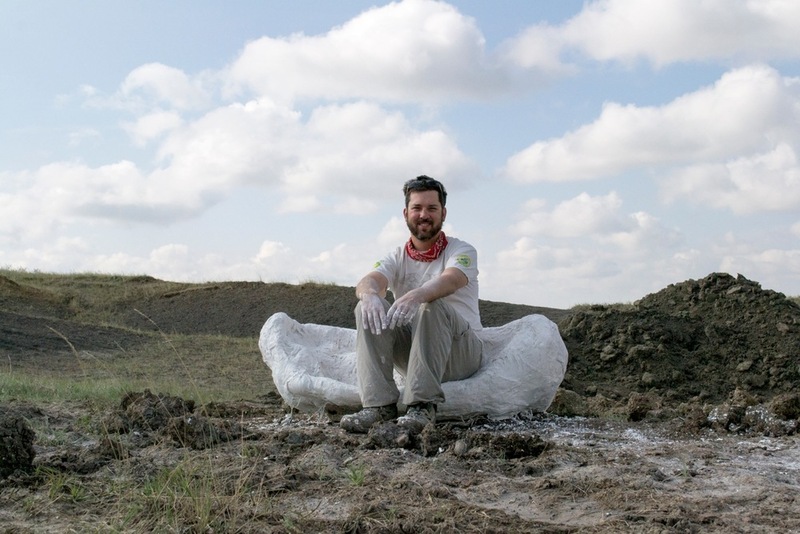 As a curator, David helped develop the ROM's new dinosaur galleries, and was Lead Curator of the major travelling exhibition Ultimate Dinosaurs. He has published morethan 90 peer-reviewed scientific papers, and he is recognized as an authority on the rich Late Cretaceous dinosaur fossil record of Canada. Most notably, he has helped discover eight new dinosaur species as the co-leader of the Southern Alberta Dinosaur Project. His research focuses on the evolution, ecology and diversity of dinosaurs, and their relationship to environmental changes leading up to the end Cretaceous extinction event. This experience working the Hell Creek Formation is important for understanding the last window into the world of dinosaurs, and understanding their extinction. When not researching dinosaurs, David likes to cook intricate meals for his wife Jessie and dog Doug. He is also ashamed to indulge in playing video games, notably World of Tanks. Question: Outside of finding fossils and doing killer science, what are you most looking forward to while out in the field in Marmarth ND? I spend lots of time at the ROM in the middle of a huge city, Toronto, aka The Big Smoke, and I am just looking forward to breathing the fresh air and driving the open road. I’m also looking forward to hanging out with Tyler and Ian the Past Time bar.